Re:Voir Vidéo + The Film Gallery: TWO NEW JONAS MEKAS DVDs AVAILABLE NOW! 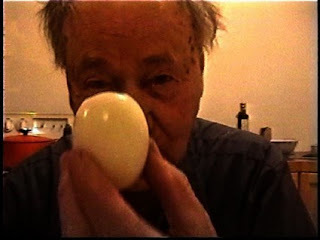 TWO NEW JONAS MEKAS DVDs AVAILABLE NOW! 2004 * Video DVCam * 80 min. Music by / Musique de : Auguste Varkalis. In February 2004, after 30 years of my life in SoHo, I made a decision to leave SoHo and move to Greenpoint, Brooklyn. This video is about what it feels like to leave a place in which one has spent more time than any other place, and which was also the place of my family life. I am somewhere else now. It's about beginning of growing roots in a new place, new home, with new friends, new thoughts, experiences. "I think you finally mastered this bloody video camera that was for so long (still is for most people) no more than a tape recorder. Now it is the eye-camera the Kinoks had been dreaming of. Of course, it is not only a question of mastering the camera. What is more important is the energy behind. The movement of life embracing death itself. It gave me such a push that I feel on the move again. Thank you." 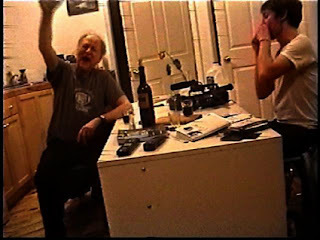 What Dominique meant, and what I mean, is this: When in 1949 I began filming with my Bolex, it took me fifteen years to really master it so that my Bolex would do for me what I wanted. When in 1987 I got my first Sony camera I thought it would be different. But no. Only today, after working with the video camera for fifteen years, I feel like it had become an extension of my eye, my body, A Letter from Greenpoint being my first real video work. Ce que voulait dire Dominique, et ce que je veux dire par là, c'est que lorsque en 1949, j'ai commencé à filmer avec ma Bolex, il m'a fallu quinze ans pour la maîtriser de telle sorte qu'elle fasse pour moi tout ce que je voulais. Quand en 1987, j'ai acheté ma première caméra Sony, j'ai pensé que ce serait différent. Mais non. C'est seulement aujourd'hui, après avoir travaillé quinze ans avec, que je sens qu'elle est devenue une extension de mon ¦il, de mon corps. 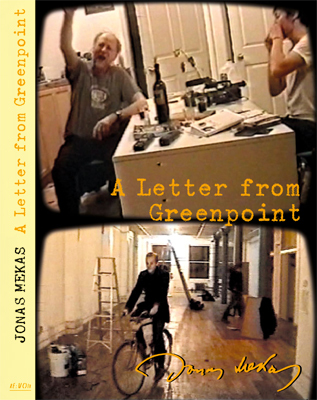 A Letter from Greenpoint est donc mon premier travail vidéo abouti. 1997 * Video Hi-8 * 67 min. With / Avec : Peter Orlovsky, Patti Smith, Gregory Corso, LeRoi Jones, Amiri Baraka, Hiro Yamagata, Ane Waldman. 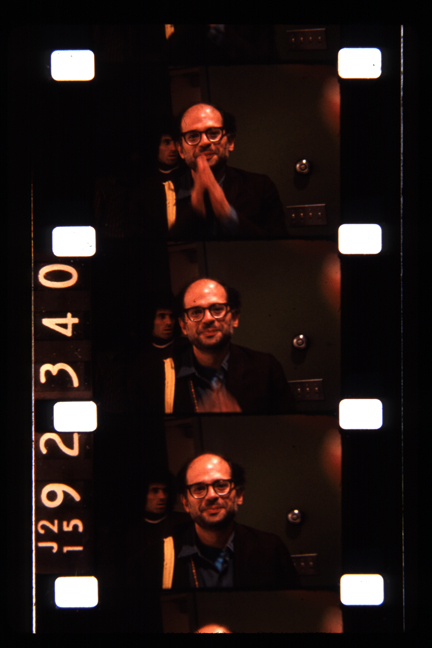 This is a video record of the Buddhist wake ceremony at Allen Ginsberg's apartment. You see Allen, now asleep forever, his close friends, and the Buddhist monks conducting the ceremony, preparing Allen for the travel into the spirit world. You also see Allen being wrapped up and removed from the apartment to the Buddhist Temple. 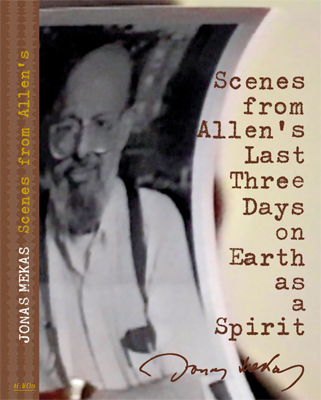 I talk to Peter Orlovsky about Allen's last days. Later I tape the final farewell at the Buddhist Temple, 118 West 22nd Street, New York City, and many of Allen's friends, Patti Smith, Gregory Corso, Peter Orlovsky, Le Roy Jones-Baraka, Hiro Yamagata, Anne Waldman, and many others who came to say last good-bye to Allen. 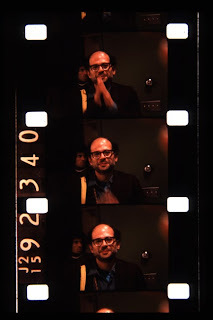 Enregistrement vidéo de la veillée mortuaire bouddhiste d'Allen Ginsberg, dans son appartement. Endormi maintenant pour toujours, on voit Allen dans son lit, entouré de ses amis proches, les moines bouddhistes chargés de la cérémonie, préparant Allen pour son voyage. La levée de son corps. Je parle avec Peter Orlovsky des derniers jours d'Allen. Puis, c'est le dernier adieu au Temple bouddhiste, 118 West 22ème Rue à New York, en présence de ses amis : Patti Smith, Gregory Corso, Peter Orlovsky, Le Roy Jones-Baraka, Hiro Yamagata, Anne Waldman et de beaucoup d'autres venus dire un dernier adieu à Allen.